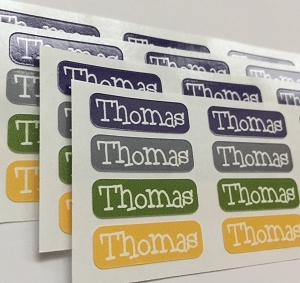 Tiny (1.25" x 0.5") waterproof, dishwasher-safe name labels that stick just about anywhere. 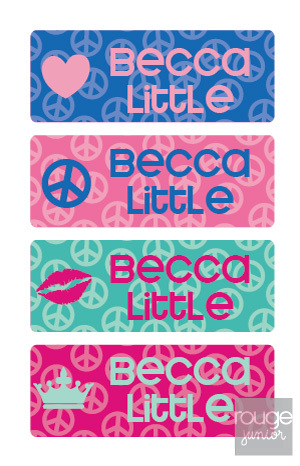 Handy for labeling lunchware, daycare gear, school supplies, water bottles, sippy cups, pool toys and anything that leaves the house! 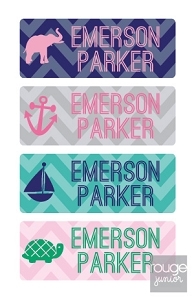 Tiny waterproof, dishwasher-safe name labels that stick just about anywhere. 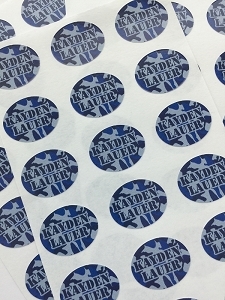 Handy for labeling daycare gear, school supplies, lunch boxes, water bottles, pool gear and more!